Hot on the heels of the official launch of the new AMD Threadripper 2 processor which is capable of being overclocked to extreme heights. 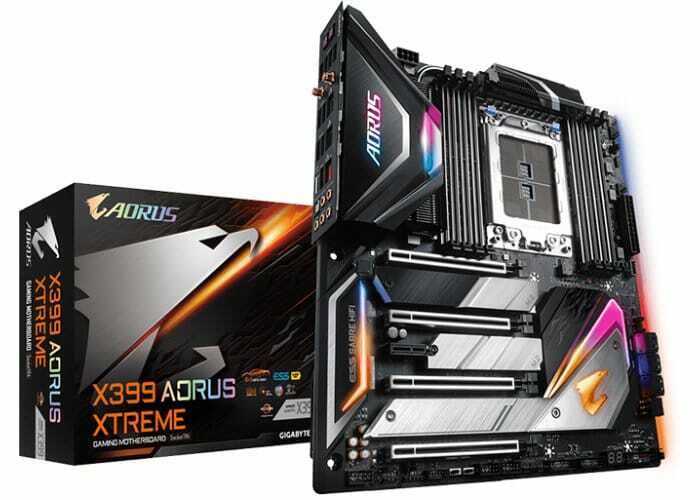 GIGABYTE has this week announce the release of their new X399 Aorus Xtreme AMD Threadripper 2 motherboard, priced at $449. Designed specifically for AMD’s latest Threadripper 2 processors the motherboards have been created to handle the 250W TDP and more, offering plenty of headroom for overclocking. The X399 Aorus Xtreme motherboard It is equipped with 10+3-phase VRM featuring 50A IR3575 power ICs, solid state inductors, and polymer aluminium electrolytic capacitors, SocketTR4, Supports AMD Ryzen Threadripper 2 (24core/250W) CPU, DDR4, Quad-Channel, 8 DIMMs, ECC/R-DIMM support, Upgraded Power Solution with 10+3 IR Digital Power for Stable OC and 40% Heat Dissipation Enhance with Pure Copper Fin-Array Heatsink & Direct Touch Heatpipe. Together with 7.1-channel subsystem is based on Realtek’s ALC1220-VB codec outfitted with the ESS9118EQ DAC that features a 125 dB SNR and supports popular lossless formats, such as FLAC and ALAC. 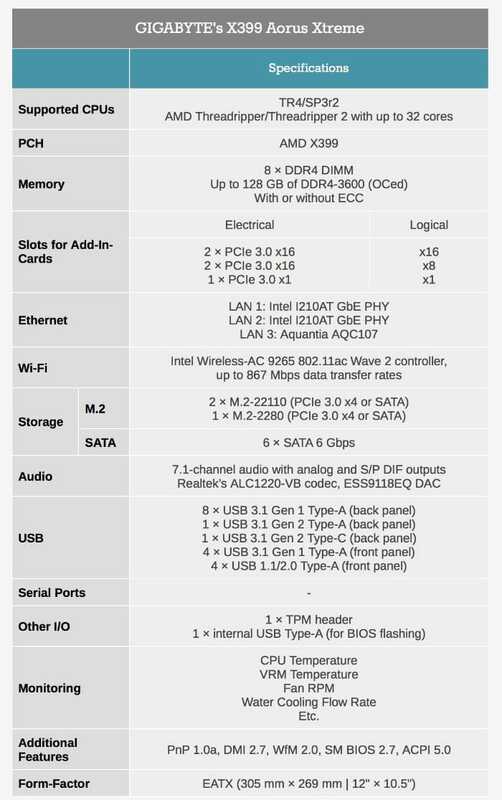 For more information on the overview of what you can expect from the X399 Aorus Xtreme AMD Threadripper 2 motherboard jump over to the AnandTech.